In 1992 the man from California founded the turntablist group Beat Junkies, a notorious crew who became a seminal force in the rise of instrumental Hip Hop. Later he wrote some history with his numerous mixtapes and his stunning DJ perfomances for such artists as Madlib or J Dilla. 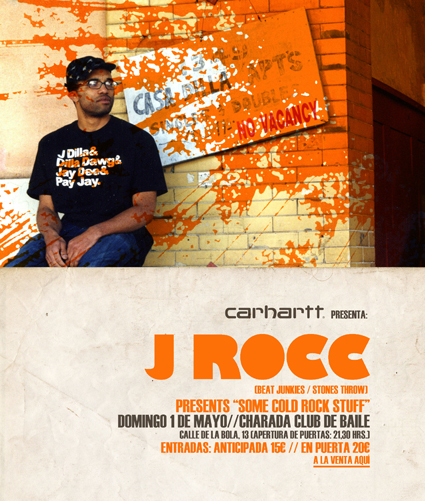 This May Day he stops by in Madrid to introduce his first solo album Some Cold Rock Stuf – a passionate benchmark in contemporary instrumental Hip Hop peppered with an exceptional excursion into percussive House. If you are near by come by and get astonished by his slippy sleight of hand.